Undslippe folkemængderne og maksimere din tid i Granadas storslåede Alhambra på en 3-timers tur. 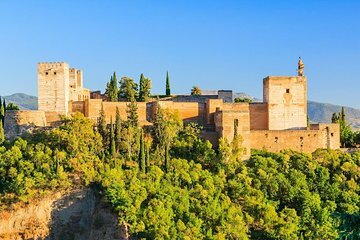 Med et prioriteret adgangskort er du en af ​​de første til at komme ind i Alhambra - et UNESCO-kendt vartegn, der er berømt for sin arkitektur - med en guide. Udforsk Alcazaba-fæstningen, gå gennem Generalife Gardens og tag panoramaudsigt over Granada fra Torre de la Vela. Hils din guide på The Alhambra, et UNESCO-noteret palads kompleks beliggende på toppen af ​​Sabika Hill. Med dit prioriterede adgangskort bliver du en af ​​de første til at komme ind i Alhambra, så du kan udforske vartegn uden ulejligheden af ​​store folkemængder. Mens du lytter til informativ kommentar, vil du beundre historiske højdepunkter som Alcazaba Fortress og Palace of Charles V. Optag spektakulær udsigt over Granada fra det forhøjede udsigtspunkt Torre de la Vela. Derefter absorbere den almindelige pragt af Generalife Gardens som du forundrer eksotiske blomster og særprægede vandfunktioner. Afslut din tur på The Alhambra. My family and I had a wonderful day at the Alhambra. Our tour guide, Juan was knowledgeable and funny. My 14 year old was engaged throughout the tour! If youre ever traveling through Granada make sure to book your tour with Viator! Highly recommend! One of the highlights of the trip!!! I booked the skip the line ENGLISH tour of the Alhambra SEVERAL weeks before the Sat., March 3, 2018 tour and got a voucher/email confirmation. To be blunt, Viator's local partner, Amigo Tours Spain, COMPLETELY dropped the ball. When we got there, we were divided into 2 groups, based on the language we spoke. There were 25 Spanish speakers and about 12 English speakers. Apparently a guide can only have about 30 people in a tour group. Our guide frantically called someone to get another guide to come...but no one was available...and worse, Amigo Tours had not even purchased tickets for the entire group so they couldn't just go by themselves w/o a guide. We were one of the lucky English-speaking ones....since there were about 5 slots open in the Spanish group. The guide promised us that the tour would end at the same time, even though now she had to speak in both Spanish and English. She did her best....but she was rushed. At least we got to go on the tour the remainder of the English-speaking group, some of whom were only in Granada for THAT day, were turned away. Yes, their money was refunded, but they missed out on this amazing site.  I would NEVER again go on a Viator tour that partnered with Amigo Tours. My advice is to stay away from any Viator tour that lists Amigo Tours as its local partner. Unfortunately, we were pretty disappointed with this tour. I WOULD NOT RECOMMEND TO ENGLISH TOURISTS. The main issue being that we were not aware that the tour would be bilingual. In a large group of at least 20 others or more, we were the ONLY English speakers. It was awkward as the guide would spend a large amount of the tour explaining things in Spanish, and then quickly give the English translation. It seemed obvious that we were not getting as much information as the Spanish group. Additionally, we just felt awkward as we felt like we were holding the rest of the tour back as they had to wait for us to have everything explained again in English. I also felt that our guide was not that informative, and I learned more about the Alhambra reading about it on Wikipedia after the tour. Disappointed with Viator... I thought it would be a trusted way to book local tours. However, after this experience, I just don't know if I would book through them again. The tour was great and our guide was very kind and knowledgeable. We booked the English tour but it ended up being a bilingual tour. Our guide Natasha made sure that each group received equal attention which made me very happy because sometimes a tour like this can become lopsided. We had a great English-speaking tour guide. She added a lot of humor as well as all the history that we could imagine. Had lots of fun and the place is amazing! We had an excellent tour of Alhambra and Generalfe Gardens! This tour was perfect because we walked right in! Several people waited in a very long line! Our guide was very knowledgeable! Highly recommended if visiting Granada! This was the hightlight of my trip to Granada. The tour guide was excellent! very knowledgeable!! I recommend this tour to anybody who visits Alhambra. Must do!! Be sure to read the fine print! 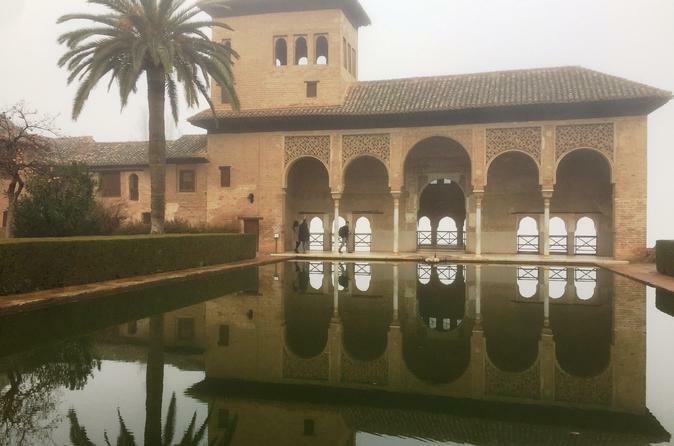 This tour only includes the outside of the Alhambra and the Generalife Gardens. You will NOT see the place, which is what you expect from all the photos. If you are going, make sure you see the Palace. This was definitely not worth the money and priority access meant nothing because everyone entered at same time. I did not read the fine print, so my bad, but be aware.